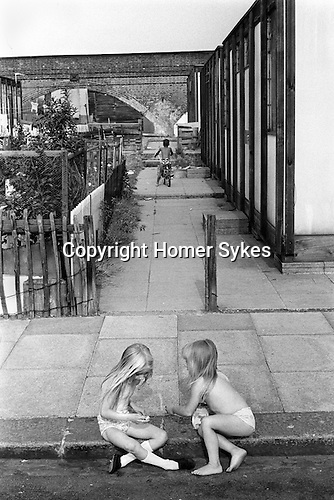 Shoeless and in their underclothes two young girls play in the street outside their prefab homes. After the Second World War it was estimated that 750,000 new home in England and Wales needed to be built, cheaply and quickly. They were officially temporary, with a 10 year life span.